Iron pump is a 45min barbell workout (long bar with weights at each end) with REP EFFECT. Great for strengthening muscle groups, burning calories and getting LEAN. It's a full body workout using light to moderate weights (your choice on weights for individual levels) with lots of repetition. What kind of exercises can I expect in the class? There will be a mixture of compound exercises like squatting and deadlifting, pressing and rowing and also some isolated exercises like side raises, curls and extensions for the shoulders and arms. All under my watchful eye to make sure your form is correct. How hard will the class be, is it suitable for me? The class is designed to suit all levels and abilities as the level of difficulty will be completely down to you and what weights you choose. Go light for easy and ramp up weights for harder. You will find as the weeks progress you'll know what weights suit you for each exercise. Is there any dancing or aerobic moves in this class? Nope - no dancing which is why this class is perfect for the men folk! Bring a towel, an exercise mat, water and dress in layers that you can easily remove. Go on give us a try on Tuesday's at, Peopleton Village Hall at 11.15am and 6.00pm. 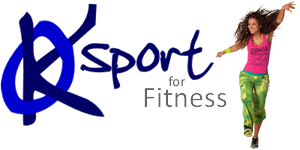 Non-member cost per 4 week block - £20 (evening) and £16 (daytime). Booking essential to secure your space. Members need to notify the instructor they will be attending.